For too long, the history of science and religion has languished, either dominated by caricatures or else ignored completely. Peter Harrison, historian of science at Oxford University, is a leader in reanalyzing the neglected contributions of religion—and especially, the Reformation—to science. Harrison’s earlier work, The Bible, Protestantism, and the Rise of Natural Science (Cambridge 1998) advanced the arresting thesis that the straightforward reading of the Bible promoted by the Reformation legitimized the study of nature and was thus essential to the emergence of modern science.1 Now, in The Fall of Man and the Foundations of Science, Harrison’s thesis is that the way people viewed the Fall impacted the way they viewed science. More specifically, he argues that the Augustinian emphasis on the depraved and fallen nature of man, revived by the Protestant Reformation, was instrumental in spurring on the scientific revolution. Harrison starts by reviewing the various interpretations of the Fall and its effects that were offered from the Patristic era through the Middle Ages. 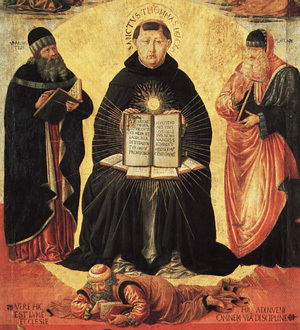 There were essentially two major schools of thought that emerged, positions that came to be associated with Augustine and Aquinas, respectively. 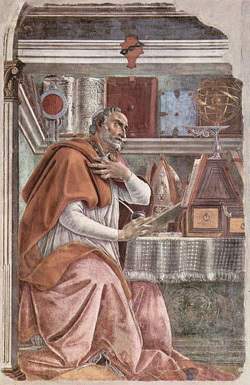 On the one hand, Augustine represented a strong view of the Fall’s effects. He believed that the Fall and the curse of God corrupted all aspects of the world. Man was spiritually fallen and lost fellowship with God. Man was mentally fallen and did not have the clearness of mind that God gave in the ‘very good’ creation. Man was physically fallen and subject to degeneration in a way that was not present before the Fall. Finally, the natural world itself was fallen and subject to degeneration in contrast to its good order and condition before the Fall. As a result, Harrison explains, “Adam’s offspring” was entirely dependent on “divine grace, not merely for their salvation (healing), but also for knowledge (illumination)” (p. 39). Augustinian epistemology thus emphasized the dependence of man on God for all knowledge. The Reformation’s critical analysis of human intellectual capacity did not stymie science, but rather stimulated it. On the other hand, Aquinas offered a more minimal estimate of the Fall’s effects. Aquinas believed that the Fall corrupted man’s spiritual and moral faculties, but left his reason intact. Aquinas distinguished between ‘natural gifts’ and ‘supernatural gifts’. The supernatural gifts were lost at the fall, the natural gifts were unaffected. Reason was the most important of the ‘natural gifts’. As a result, man was still capable of exercising right reason to discover truth about nature, apart from divine revelation. Aquinas naturalized epistemology, at least as to knowledge of the natural world. Even in his own time, there were those who questioned Aquinas’s epistemology—based on Aristotle—for failing to reckon properly with the Fall. But on the whole, Aquinas and his Aristotelian conception of science carried the day to become orthodoxy in the Roman Catholic Church. Not surprisingly, it became a significant object of attack by leaders of the sixteenth-century Reformation. The sixteenth century saw a revival of Augustinian anthropology. “Augustine’s assertions about the depravity of the human condition and of the necessity and sufficiency of divine grace was [sic] revived and elaborated by the Protestant reformers and, to a lesser extent, by the seventeenth-century Jansenists” (p. 40). Luther and Calvin both argued that Aquinas’s epistemology embraced an unchristian anthropology. Aquinas had artificially and incorrectly separated his theory of knowledge from the biblical account of man. For a corrected interpretation, Luther and Calvin revived the Augustinian position on the Fall and the depravity of man. But in reviving Augustine’s anthropology, the Reformers also attempted to correct a difficulty with Augustine: a dualistic separation of the natural and spiritual. This Platonist dualism deprecated the temporal to elevate the spiritual. In contrast to this position, Luther emphasized the “priesthood of all believers” in every vocation, meaning that there was no sacred-secular dichotomy and that all endeavors could and should be done for the glory of God and in His service. Calvin was even more practically ‘this-worldly’ than Luther in his attitudes, interested in many aspects of social life and Christian society. Harrison also finds it significant that, in his writings, Calvin (more than Luther) allowed that non-Christian philosophers like Aristotle possessed some measure of skill and ability in examining temporal things. Later Calvinists would call this “common grace”—the doctrine that God’s grace demonstrated to all men is what prevents us from experiencing the full loss of ability that would naturally result from our depravity. The bottom line from all this was that the pessimistic Augustinian view of human nature did not lead to utter skepticism about the capacity of man to still discover some limited truth about the temporal world, even though doing so would be hampered and always imperfect, due to depravity. The revival of Augustinian anthropology was originally a largely Protestant doing, but there was a minority Catholic school of thought that also sought to dethrone the dominant Thomist–Aristotelian paradigm and replace it with an Augustinian one. This movement came to be called ‘Jansenism’ after one of its notable advocates, Cornelius Jansen. Jansen wrote a massive three-volume work, Augustinus, published posthumously in 1640, to promote the doctrines of Augustine. This movement was actually precipitated well before Jansen’s time. In the late sixteenth century, Baius, a young professor from Louvain who attended the Council of Trent, began to teach the doctrines of Augustine as against those of Aquinas. A small but influential group of thinkers followed, Blaise Pascal among them. This revival of Augustine and his view of the Fall, both in Protestantism and in Catholic sources, helped give new impetus to find more sure means of pursuing knowledge, including the scientific method, as Harrison shows. But first, Harrison turns to consider the role of the so-called ‘skeptical philosophers’ of the Reformation era. The skeptical perspective on the nature of man and the ability of the human mind to access truth has received much of the credit from recent historians for inaugurating modern philosophical ideas about human knowledge. The skeptics, many recent scholars have thought, prompted the search for new foundations for human knowledge and thus inaugurated modern epistemological exploration and stimulated scientific thinking.2 Harrison challenges this common reading of the history, and suggests that, compared to the importance of the Augustinian revival, the skeptics were peripheral to the main story of science’s foundations. The philosophers of skepticism believed in the fallibility of human reason in much the same way as the Augustinians did. But the skeptics lacked elements of belief that were important for science: they believed that the imperfect state of man was the natural state of man. The Augustinian perspective by contrast taught that man was originally created by God in perfection. Of course, man lost this when he fell, but regeneration was possible through the grace of God. Not only was spiritual regeneration promised, but ultimately there would be a physical restoration of creation. This gave hope that even in this fallen world, by God’s grace man might be able to recover at least some of the original knowledge. As Harrison explains, “for Jansenists and Protestant reformers alike there lay the prospect of an amelioration of human ignorance through an analysis of exactly what mental faculties had been disrupted by the Fall. This was to be followed by the devising of strategies that might help to overcome these inherited infirmities. 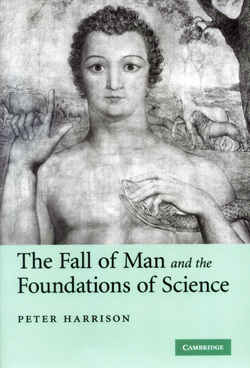 The historical figure of Adam played an important role here”, showing that man had once been able to have much better knowledge by natural gifts, and thus “it was not unreasonable to hope for the partial restoration … Such reasoning lay at the core of the Baconian programme” for natural science, “important elements of which were later adopted by the Royal Society” (p. 81). Thus, contrary to what one might expect based on ‘first impressions’, Harrison writes, the Reformation’s critical analysis of human intellectual capacity did not stymie science, but rather stimulated it (pp. 87–88). When viewed in this light, Harrison writes, “It is hardly surprising then, that the latter half of the sixteenth century witnessed a remarkable diversity of attempts to establish new foundations for human learning” (p. 93). Many of these attempts would not be classed as scientific, or as doctrinally orthodox. Yet the confluence of ideas created the milieu in which ‘modern science’ arose. Harrison examines several of these projects, with proposed foundations in three different areas: reason, scripture, and personal inspiration. In the first group (‘reason’) were those who found certainty in mathematics. Harrison suggests that there was a Lutheran tradition of viewing mathematics as an uncorrupted vestige of pre-fall reason. Melanchthon promoted this idea, and Kepler seems to have imbibed this view, as did Lutheran universities more widely, as they made forward strides in mathematics and astronomy (pp. 93–107). In the second group (‘revelation’) were advocates of a ‘Mosaic philosophy’. The samples from this school that Harrison explores adhered to the rather radical denigration of experimentation and observation in favor of a search for comprehensive revelation. (That is, this kind of ‘revelation-based’ knowledge was not simply adopting Scripture as the starting point for science; it was trying to use Scripture as a comprehensive foundation for natural knowledge.) Because Scripture is not comprehensive (though it is sufficient),3 these writers either had to admit serious limits on their ability to gain knowledge, or else turn towards extra-biblical sources, as a surprising number did. It was widely believed that God had revealed to Adam a more or less comprehensive true philosophy, and that this was lost at the Fall. Some writers then turned to ancient sources and mythology to try to discern elements that may remain from Adam’s true philosophy. These cabbalistic investigations were zealously prosecuted by the occultists on the ‘left wing’ of the Reformation. But somewhat surprisingly, a number of the more empirical natural philosophers, including Francis Bacon, were willing to give credence to moderate versions of these theories. Harrison goes on to argue the heart of his case that Augustinian views of the depravity of man were central to the motives for the scientific enterprise. Harrison makes the case by drawing on the writings of a vast array of the early scientists (broadly defined, including both the experimentalists and the natural philosophers like Bacon). In order to get a sufficient level of detail, Harrison focuses primarily on the development of science in England. The picture he presents is compelling. 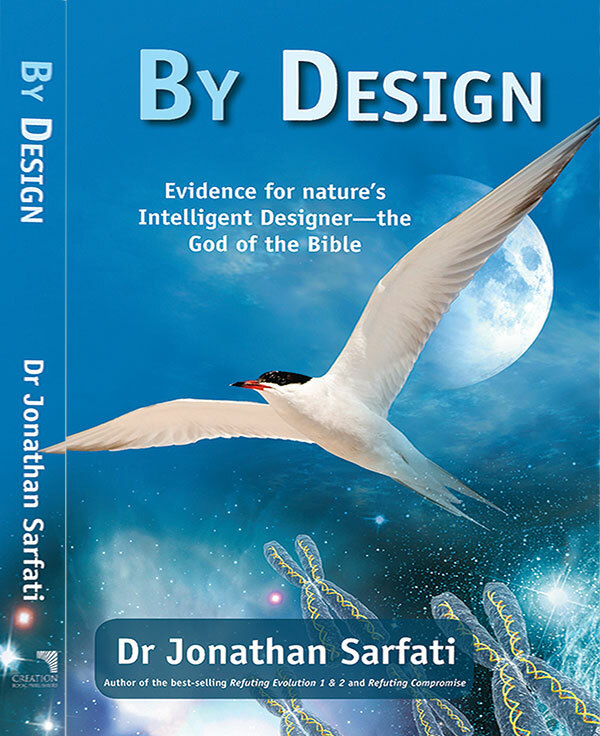 These early advocates and practitioners of science frequently dilated upon the wonders of God’s very good creation and the amazing perfections of reason, understanding, and physical abilities that Adam was presumed to have been endowed with. They were also very conscious of the effects of the Fall in upsetting the paradise that God created and destroying the perfections of Adam’s abilities. Yet these scientists also generally believed that the work God gave to Adam, to tend creation, classify, and exercise dominion, was still in effect post-Fall. By careful study of the effects of the Fall, and hard, diligent work, they hoped that they could fulfill this mandate and ameliorate the consequences of the Fall. Many of the programs proposed for this purpose partook of theology, moral philosophy, and moral psychology. Yet others proposed novel attempts to recover the original language of Adam, which it was assumed would be a superior means for communicating philosophical and scientific knowledge. Most importantly, for Harrison’s purposes, the scientific experimental enterprise was itself advanced as meeting precisely this purpose. Examining Francis Bacon and others in the seventeenth-century English scientific community, Harrison shows that the program of experimentation was a self-conscious attempt to restore Adamic knowledge. “While the mind of man clearly stood in need of restoration, the earth itself, which in St Paul’s evocative words had been ‘subjected to vanity’ (Rom. 8:20), was to be redeemed also. The seventeenth-century quest to re-establish human dominion over the natural world—often associated with that exploitative stance thought to typify the modern West’s attitude towards nature— was thus originally conceived as a restorative project designed to return the world to its prelapsarian perfection” (p. 183). The ability to work towards restoration was hopeful and forward-looking. But there remained a pessimistic, skeptical side to the scientists’ thinking on the Fall. Man’s mind would never be able to arrive at certainty and exhaustive knowledge in its postlapsarian state. Indeed, none other than Robert Boyle suggested that Adam’s capacities were often overestimated by his contemporaries. Adam was still limited and finite, and only in the resurrection, as Harrison recounts Boyle’s argument, would man “come into possession of true science” (p. 219). Other fellows of the Royal Society agreed that all human science is limited by our finite, fallen world. Harrison’s book is a masterpiece of historical scholarship. The argument Harrison presents has great implications for our perspective on the history of science and religion. It should be high on the reading list of anyone serious about understanding the relationship between science and Christianity. 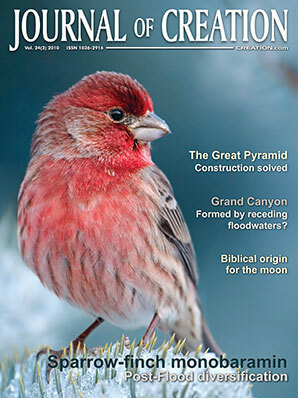 It also has great lessons for modern Christian thinking on nature, science, and Scripture. The old arguments between the adherents of Augustine and of Aquinas are, in a very real sense, still with us today. Can the mind of man reach truth by use of reason alone? Is reason corrupted by the Fall? 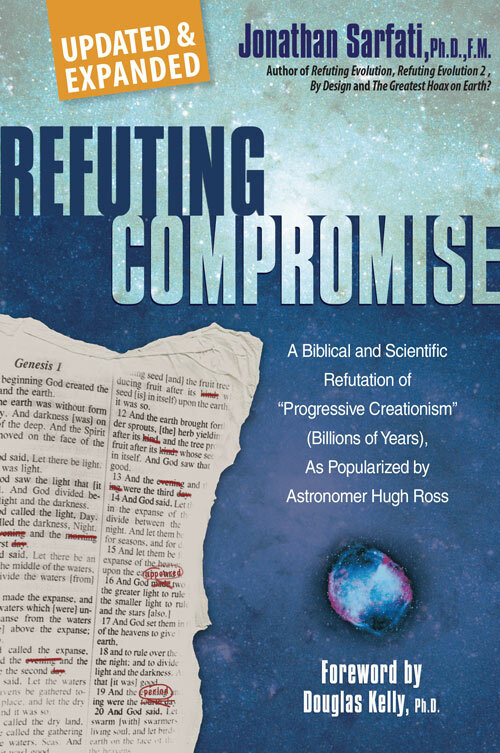 Can we arrive at true conclusions if we ignore the history presented in Scripture? These questions, alas, are too infrequently asked by Christians in the sciences. Yet until we are conscious of the questions, we cannot be self-conscious of how we are answering them—and conscious of whether our answers give due credit and honor to the authority of the Scriptures and the God we profess to adhere to. Philosopher Alvin Plantinga has explained well the need for serious Christians to develop an Augustinian approach to scholarship, using the truth that we know from Scripture in every area of academic endeavour.4 This is not just a necessity to have a well-thought-out Christian philosophy of science. This is an obligation we are charged with in Scripture itself, to take thoughts captive (2 Corinthians 10). 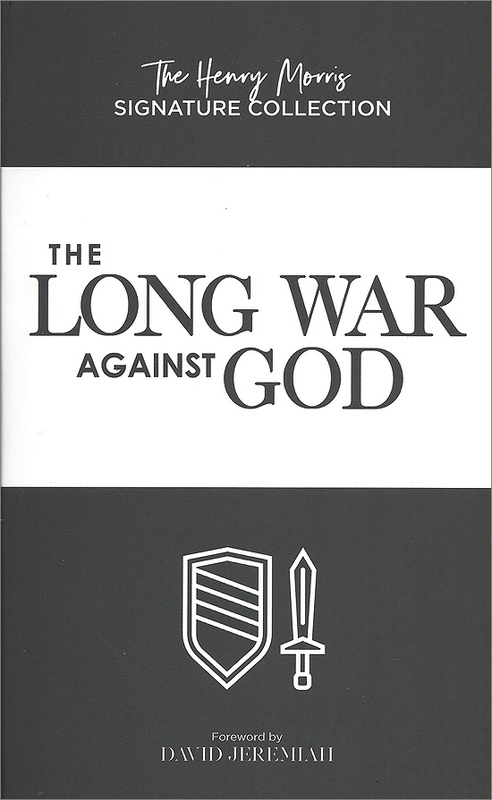 That should be our goal, and for serious Christian students of philosophy and science, this book by Peter Harrison should be a stimulating read. See also my review: Weinberger, L., Reading the Bible and understanding nature, Journal of Creation 23(3):21–25, 2009. Return to text. Historian of philosophy Richard Popkin was the most influential promoter of this theory. Return to text. The biblical doctrine recognized by historic Protestantism was the sufficiency of Scripture, not the comprehensiveness of Scripture. Scripture is sufficient for salvation and morality, is true on every area it touches, and guides our thinking on every area, although it does not (and could not) provide comprehensive and exhaustive information. Return to text. See, for example, Plantinga, A., Augustinian Christian Philosophy, Monist 75:291, 1992; www.calvin.edu/academic/philosophy/virtual_library/articles/plantinga_alvin/augustinian_christian_philosophy.pdf, 24 December 2009. Return to text.